Come back and enjoy the beauty of the Rocky Mountains. Experience the serenity of the cabin and the new features. Many people have returned for a second and third visit and we want you to come back too. 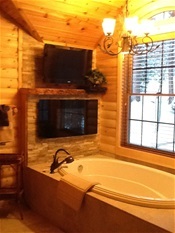 Just write to me with your name and email address or go to www.Homeaway.com/243434 to make your reservation. Any way your themes are nice one. Good topic. From your post I could understand that you have well idea. Keep it up. Thank you for your interest in our cabin. I am sorry to say that the cabin is already rented June 28 -30, 2018. Is this cabin available June 28-30? And how many nights is the minimun stay?